Every frame of Wong Kar-Wai's breakout 2000 masterpiece In the Mood for Love is suffused with a palpable sense of longing. A deliberately composed and unusually paced film, In the Mood for Love would seem to have the potential to leave the viewer cold, but instead, it's one of the most achingly romantic depictions of love's intensity — constrained and thwarted though it may be — in cinema. 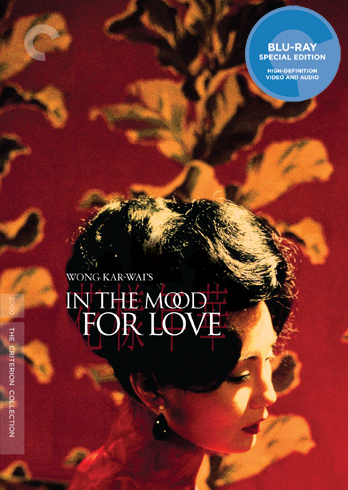 Wong's canny ability to combine effusive sound and image in a way that maxes out the senses but stops short of overload is at its best here; In the Mood for Love may not be my favorite Wong Kar-Wai film, but it's hard to argue it's not his most formally precise. Tony Leung and Maggie Cheung star as Mr. Chow and Mrs. Chan, strangers who move into neighboring apartments on the same day and strike up a polite acquaintanceship, their encounters brief but friendly. Both have spouses we never get a clear look at, but offscreen interactions reveal drifting relationships and frequent lonely nights. When the pair discovers their spouses are actually having an affair with each other, they're instantly bonded by betrayal, their previously sublimated attraction now threatening to rise to the surface. One might be tempted to call In the Mood for Love a study of repression, with an expertly realized 1962 Hong Kong setting acting as the perfect backdrop. To be sure, Mr. Chow and Mrs. Chan's bond is defined as much by restrained formality — both cultural and personal — as it is by romantic feelings — a paradox mirrored by Wong's filmmaking that's both extravagantly supple and tightly controlled at the same time. But, at its heart, In the Mood for Love swoons, tracking Maggie Cheung's graceful movements on her frequent nightly noodle runs, luxuriating in the cigarette smoke as Tony Leung types away at a short story in his rented room and scoring it all with recurring Nat King Cole Spanish-language songs and the stirring strings of Shigeru Umebayashi's "Yumeji's Theme," an instantly indelible piece of movie music if there ever was one. How can your heart not swell right along with the music and images? Criterion upgrades their 2002 DVD of the film, presenting it in 1080p high definition and its original 1.66:1 aspect ratio. The Blu-ray represents a strong upgrade, offering a thoroughly more film-like presentation in every category, from grain resolution to image depth and clarity to color vibrancy and consistency. In the Mood for Love is not a tack-sharp film — a number of shots possess an intentional slight softness, but the look is never due to image degradation or overt digital manipulation. The 5.1 DTS-HD Master Audio track is outstanding, immersing the viewer in Wong's inventive and powerful soundscapes and offering crisp, clear dialogue from the fronts. Criterion's two-disc DVD set was stacked with great material and most of it makes its way to the Blu-ray edition, along with some new stuff. The erudite Tony Rayns offers up two new interview segments, one placing the film in the context of Wong's career and another discussing the soundtrack. Carryovers from the previous release include an hour-long making-of created by Wong, a handful of deleted scenes with optional commentary by Wong, Wong's 2000 short film Hua yang de nian hua, archival footage from the 2001 Cannes Film Festival and the 2000 Toronto International Film Festival, trailers and TV spots. Several text features and a different examination of the soundtrack have been dropped from this release. Also included in the package is a booklet with a new essay by critic Steve Erickson and Liu Yi-Chang's short story Intersection, which provided thematic inspiration for the film and is the source of the film's textual intertitles. In the Mood for Love earns a high ranking among the greatest screen romances, and its excellent Criterion Blu-ray edition is all the more reason to discover or rediscover it.